Corvette: Why is My Car Hesitating? The Corvette is a very powerful car, and when it hesitates, we feel it. Here are some of the things that can cause your 'Vette to hesitate or surge that should be checked. The most impressive thing about the Corvette is its power. In fact, Corvette owners buy the Corvette mainly because it is one of the meanest cars on the road today. But hesitation can occur when the driver steps on the gas pedal. Sometimes the car stumbles or misfires, and other times it just lacks power. When hesitation happens, it means something is wrong with the monster under your hood. Here are some possible causes and fixes to Corvette engine hesitation. Use a scan tool to check for any faulty codes. If you don't own a scan tool, you can rent one from places like Autozone. Plug the scan tool in the port located under the driver side's dashboard. Follow the instructions on the tool's screen, and wait for any faulty codes to appear. Figure 1. Scan tool port location. If you don't have a scan tool, you can start by checking the pressure on your fuel system. Remove the passenger side's fuel rail, locate the black cap that looks like an over-sized tire stem cap and unscrew it, and screw the fuel pressure test gauge onto it. If your fuel pressure is low, you probably have a bad/weak fuel pump. The average, healthy fuel pressure is 20 to 30 psi at idle. Figure 2. Check your owner's manual for proper fuel pressure. With dirty fuel injectors, the performance of the Corvette suffers tremendously. The dirtier they are, the harder it is to send the right dose of fuel, which will result in not only hesitation but also bad fuel economy. Remove the engine covers, fuel rails, and fuel injectors. Clean them using injector cleaner, then place it back in the rails, install the rails, and cover the engine back up. Figure 3. 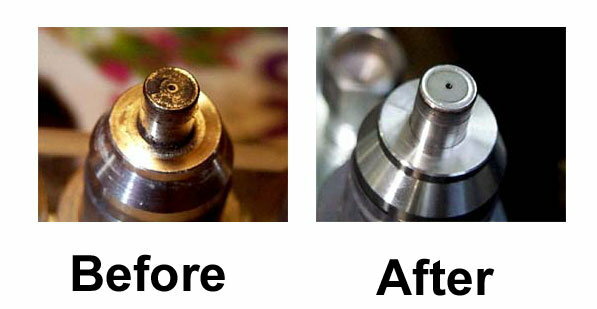 Before and after fuel injector cleaning. 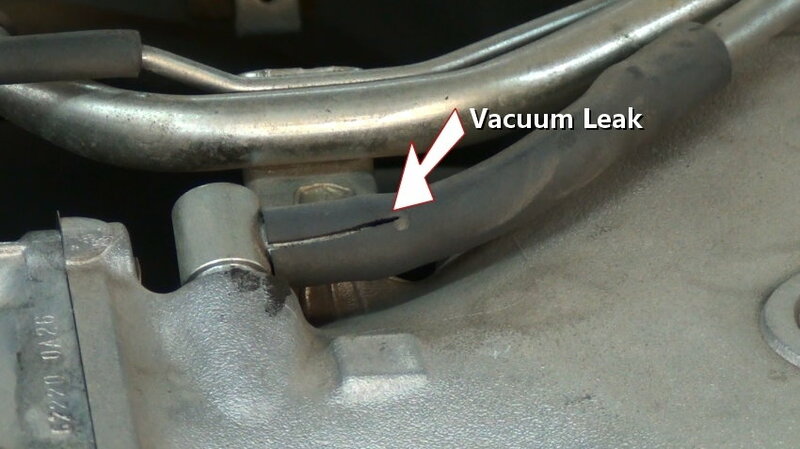 A vacuum leak can sometimes be detected by listening for a whistle sound. However, a vacuum leak can often show up in the form of hesitation. Start the car and listen for any strange sounds like a very quiet whistle. 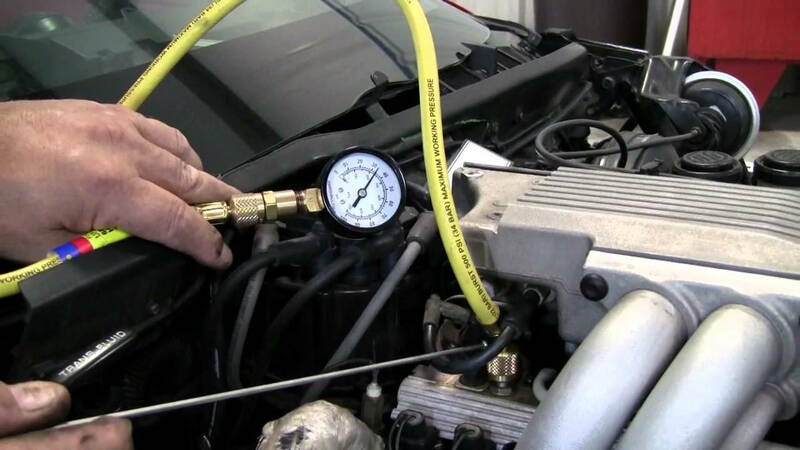 Then, check all the hoses under your hood for cracks and to make sure the connections are tight. If you suspect any leaks because of cracks or sounds, spray starting fluid on that area. if there is a leak, the idle speed will change. There is always the next level, and if you own a smoke machine you can achieve that level. Blow smoke through the brake booster's hose; if there's a leak, you will see smoke coming out of it. Figure 4. One of the most common causes of vacuum leaks is a cracked hose. The EGR (Exhaust Gas Recirculation) is designed to reduce NOx emissions. An EGR that won't close will cause hesitation. 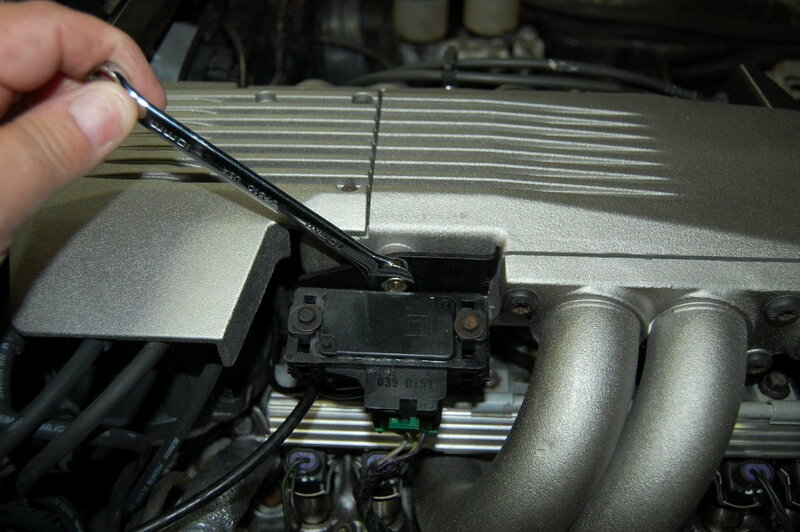 To check for an EGR leak, simply spray carb cleaner under the EGR valve. If the idle picks up, this means you have a cracked or leaking diaphragm and will need to replace it. Figure 5. Remove the MAP sensor to access the EGR valve. Sometimes, a misfire could feel like hesitation. Check for dirty or bad spark plugs, bad spark plug wires, or weak ignition coils. 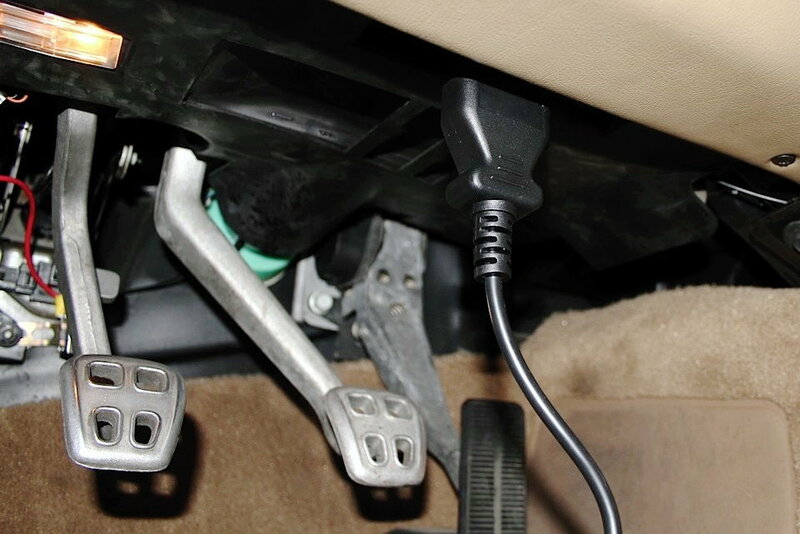 Places like Autozone offer free testing for all electronic components in your vehicle, such as ignition coils. Figure 6. 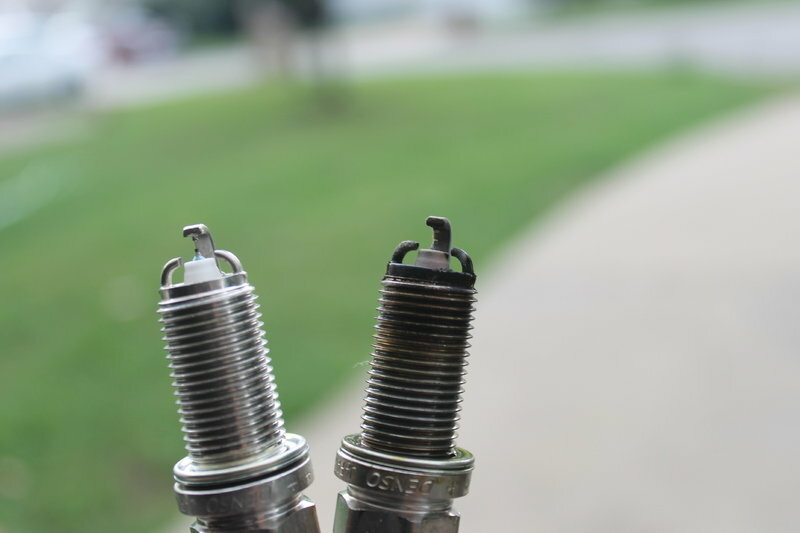 Good vs. bad spark plugs. Corvette: Why is My Car Misfiring?